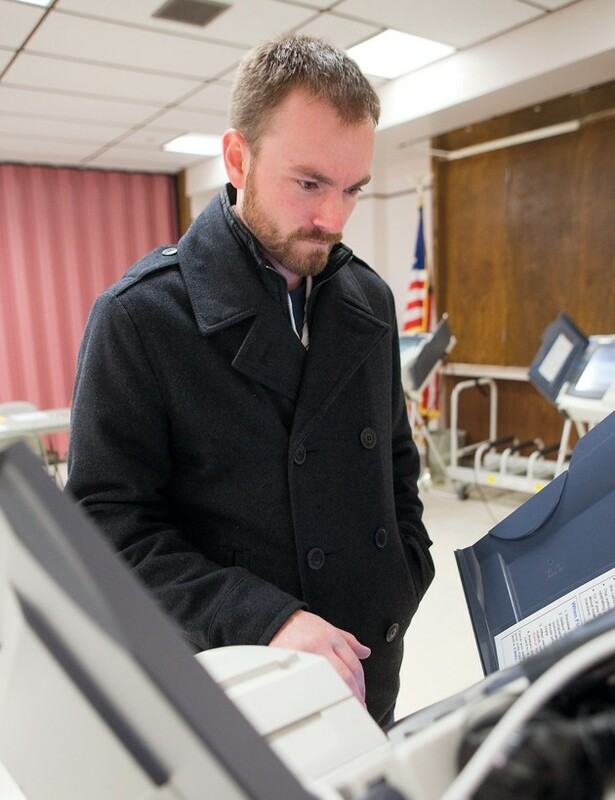 Tavin Stucki uses his democratic voting power to cast his ballot for the first time in this year’s Tooele City election. I’m embarrassed to admit it as a 26-year-old, but this month’s election was the first I’ve ever participated in. Sure, I’ve got my excuses. 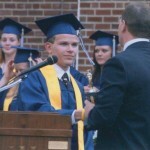 I wasn’t old enough to register one year, then I left on a two-year church mission, then I moved, then this, then that. But the real reason I’d never fulfilled that civic responsibility came down to laziness. Well, two parts laziness and one part pride. In a way, I’m surprised I’ve never taken much of an interest in politics because they are remarkably similar to sports in a variety of ways — there’s a winner and loser, plebeian morale is affected by an opponent’s action, and some issues are more heated than the rivalry between Ohio State and Michigan. Honestly, I can see myself getting into politics when I decide to grow up and stop playing at being a sports editor. Growing up — or maybe I should say “when I was younger” — my parents rightly esteemed themselves of above-average intelligence and, as is human nature, always complained when voters would stupidly throw away a vote when they didn’t know who or what they were voting for. So when I came of age to cast a ballot, I didn’t want to vote for something I didn’t know anything about — hence, one part pride. But I also didn’t care enough to find out about the issues or candidates on hand — hence the first part of laziness. But long before Election Day this year, I overcame the second part of laziness when I registered to vote. Honestly, it wasn’t that difficult with a little prodding from my politically-minded new bride and her mother. I don’t actually remember what I was legally required to do — was it connected to renewing my drivers license or something? At any rate, I felt a sense of accomplishment growing inside me that culminated on the first Tuesday after the first Monday in November. True to my parents’ unconscious teachings, I rooted through our newspaper archives — and picked the brains of the reporters who wrote them — to find information on the propositions and candidates in consideration for the part of the county I live in. Armed with newfound knowledge and an opinion on the decisions to be made, I nervously followed the signs in the Tooele County Building that directed me to where I lost my voting virginity. Embarrassing as it was that I’d never voted in my eight years of eligibility, I think it’s even more embarrassing how easy it was once I made the decision to cast my ballot. Just don’t tell my mother-in-law it took me so long. 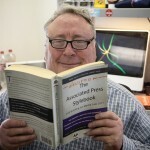 Stucki is a sports editor and writer who has historically enjoyed ignoring politics. Send any future political advice to tstucki@tooeletranscript.com.